In today’s world of chaos and constant stimulation, it’s hard to quiet the mind and think. Getting into Nature offers a way to find some silence and clarity; and it’s an important tool to counter our standards of survival in society. The more and more pressure we put on ourselves, the more our health degrades. Our minds and bodies need silence in order to regenerate. 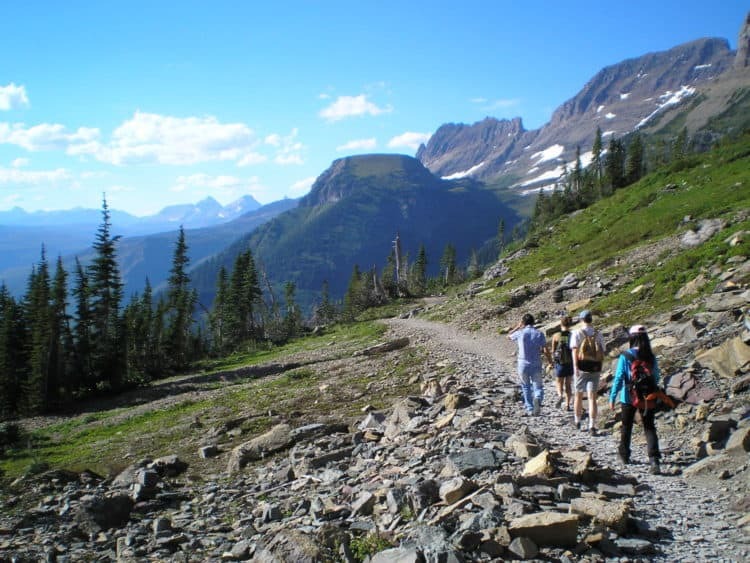 Hiking is a great way to reap the benefits of what nature has to offer. The elements whip us into shape and we sweat out our frustrations. As our muscles scream for mercy and our toes rub in our boots, we seek shade. The shelter of a giant pine tree is a luxurious refuge from the intense sun rays. Leaning against the rugged bark, the ultimate question surfaces: Why did I choose to do this? Hiking. Sometimes the fatigue from everyday life tries to dissuade us from getting outdoors; but in the end, the rewards of trekking unknown paths are too great. Hiking is a way for nature to give us some much needed therapy; and depending on where we go, it’s affordable. 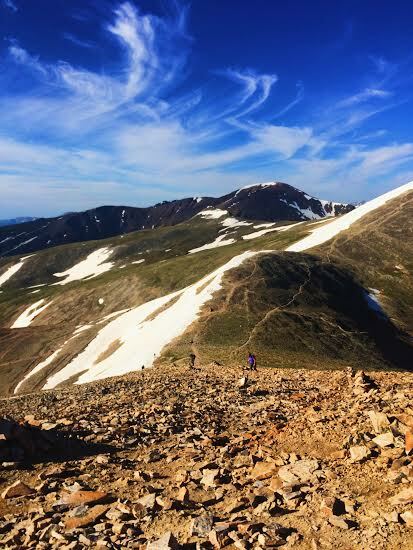 Here are a few reasons why hiking is the ultimate nature therapy. We choose hikes based on how capable we are feeling or the size of the challenge we want. In either case, we end up mentally feeling the same: accomplished and clear minded. Everyday stressors seem so small and we are motivated to let the damaging things in our lives go. It seems the cocktail of Hiking and Nature is a remedy for unclogging the mind of the unnecessary and allowing us to focus on the bigger picture. The speed of life, these days, seems to crowd our brains with too much information. With the clarity we gain from hiking, inspiration can pour in. Ludwig Van Beethoven found that walking was imperative to his creativity, so he would take many walks throughout the day. Carrying a pencil and paper, Beethoven would write down ideas as they flowed. Most of us find that we can be more creative when we are active, as opposed to sedentary. In Nature the birds serenade us, and the fresh air electrifies more than coffee ever could. The vibrancy of the trees and flowers overwhelms our eyes; while the deep blue of the sky inspires. All our senses are awakened when we spend time in Nature. Hiking helps connect us with our roots to this Earth, giving us a feeling of responsibility to protect and preserve its sacredness. It’s a way to get reacquainted with our personal passions. We often feel the drive to keep these places we hike sacred, as preserving the wilderness is vital to a better tomorrow for everyone. Many studies have proven the beneficial effects of exercise on mental health and one’s outlook on life. Physical activity induces the release of endorphin (a powerful chemical in your brain) which energize your spirit, making you feel happy. What’s great is no matter the shape you’re in, you can even reap these benefits from a small hike. As we deeply breathe in the wilderness, the stagnant things seem to fall away. Feeling very much alive; the hike ends with us refreshingly fatigued, and yet somehow better equipped to handle “civilization”. The sense of accomplishment is gratifying enough to improve our perception on all things in life. When we open ourselves up to receive what nature has to offer, we find that there are many nuggets of wisdom available. Going on a hike gives us the opportunity to recognize this advice and use it in our own lives. Ilan Shamir, founder of Your True Nature, embraced nature’s advice when he created the products for his company. It was during an unsettled time in his life that he leaned against a century old Cottonwood tree and asked it for advice. Through that experience, Ilan realized guidance was all around him. Your True Nature’s advice echos the wisdom of Nature. 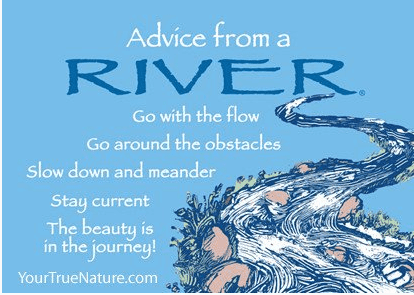 For example Advice from a Tree: “Go out on a Limb,” or Advice from a River: “Go around the Obstacles.” Nature’s wisdom is ancient and flows freely, all we have to do is listen and be enriched. We go into nature to seek something, and often end up finding our own true nature. Hiking provides us with a peaceful escape. It takes us away from the high rises, traffic, and constant encroachment of technology (civilization as we know it) into a serene wildness. 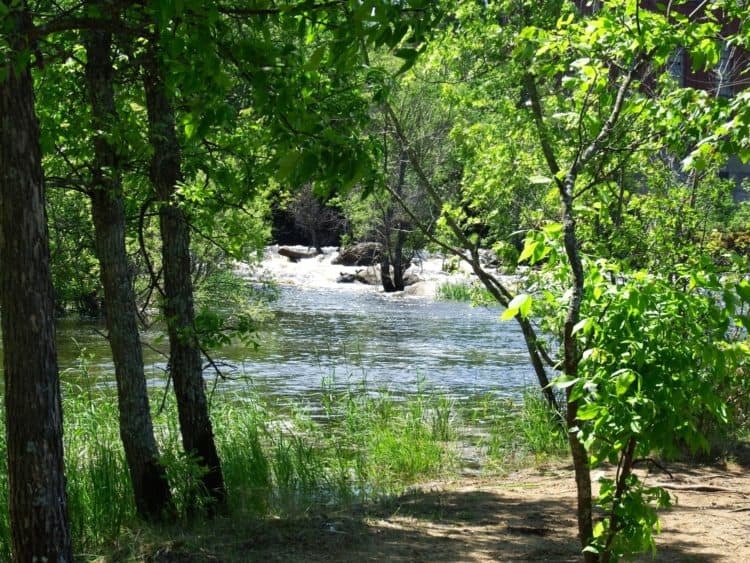 In today’s world, it often feels like the Wilderness and Nature are more civilized than society. Maybe if we all went hiking a little more, we could impart the good we find in the wild into the culture we live in. All of us have to do our part, and be active in protecting the places that provide this important refuge. 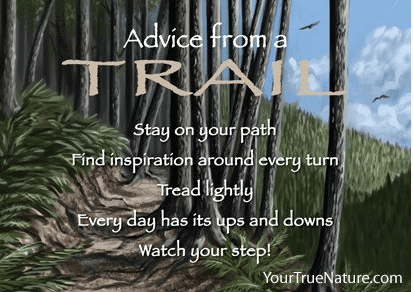 Find trails near you and participate in preserving their existence. Take yourself, your friends, your family, your pet, and anyone else on a hike. Help people become more mindful of the future of our wildernesses and encourage action. Positive change can begin with one idea and that one idea can very likely be manifested on a single hike.